If you’re searching for storage container prices for Salt Lake City and the surrounding areas, you’ve come to the right place. Here at Haulaway, we offer industrial storage containers or smaller containers for personal use, depending on your needs. 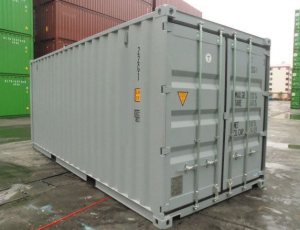 Our large storage containers are available in sizes up to 40′, and we offer custom conex steel sizes if needed. Whether you’re storing construction equipment or personal belongings, the convenience of a mobile storage container can’t be beat. We are always happy to offer customers a Quick Quote from our online form or by calling 1-800-826-9040. Storage container prices for Salt Lake City locations will vary depending on the number and size of units you’ll need, the type of unit, and how long you’ll need the unit. We offer cargo containers ranging from 20-40 feet long with double doors on one end for easy loading. These industrial storage containers are ideal for temporary and seasonal use, or for use on secure construction sites. With our Rhino Locking System, you’ll always know your equipment is protected. We also offer roll-off containers ranging from 10-26 feet, with double doors on both ends of the 21’ and 26’ for convenient loading and unloading. These containers work well for retail, residential, and construction use. When you compare the convenience and pricing of Haulaway portable storage containers to those of stationary storage units at a facility, it’s easy to see why many businesses and individuals choose to go with our units. We offer convenient drop-off and pick-up for all our containers. Our storage units are used by all types of industries, including government, education, medicine, retail, construction, and more. Our Salt Lake City office is conveniently located at 60 South 5100 West, and you can reach us toll-free at 1-888-822-8211 anytime. Call us now for storage container prices or go to our online form to receive your free quote.